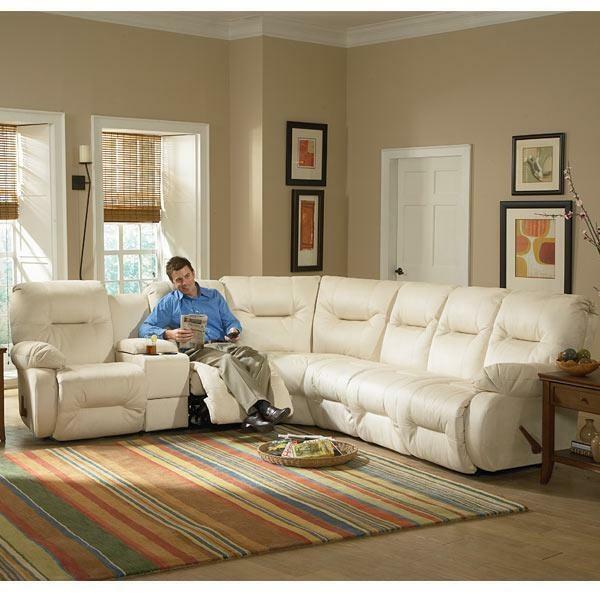 For comfortable and casual group seating the whole family will enjoy, try this reclining sectional sofa. Generously padded at every angle, this sectional features plump backs, pillow arms, and pad-over-chaise seats for head-to-toe comfort you can't get anywhere else. 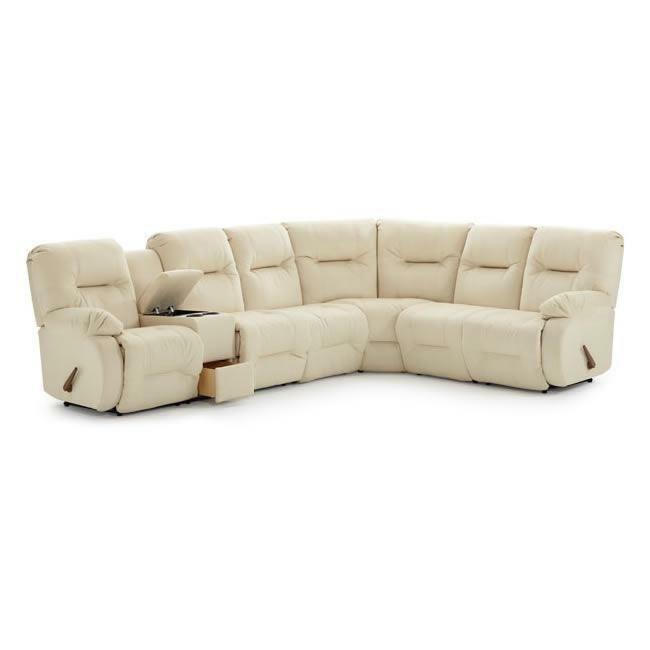 In combination with easy-to-use recline mechanisms throughout, this sectional is not only comfortable, but also convenient. Accented with a storage console and cupholders, this piece is perfect for movie nights accompanied by food and drink. A favorite spot to lounge with family and friends, this reclining sectional will be cherished for years to come.